It is not easy to overthrow a dictator, especially one who is willing to do anything and everything to stay in power. Even in the internet age, the creation of a shadowy National Initiative for Change in Syria, will have little effect. If the regime is willing to shoot demonstrators, the price of demonstrations will eventually prove to be too high, and the demonstrations will stop. 1. The regime is morally constrained and will not employ extreme force. 2. There is a well organized group of dedicated revolutionaries who are prepared to use all means necessary to gain power. 3. There is strong support from outside either in the form of overt or covert military and propaganda aid. Two examples of success would be the Russian Revolution of 1917 and the Iranian Revolution of 1979. In the Russian case, Nicolas II, was morally constrained to the extreme (He was devastated to learn that his people did not love him and abdicated). The Bolsheviks and their Social Revolutionary and Menshevik allies had been professional underground conspirators for a decade or more, and, among them, the Bolsheviks were prepared to use any means necessary, and the German military was prepared to lend a hand. In the Iranian case, the Shah was constrained by his own conscience and by U.S. pressure. In the end, he was not willing to use the force necessary. His Islamic-fundamentalist opponents were well organized and had coalesced around a leader in exile. The world community considered the Shah a pariah. No country was willing to help him. After a show of resistance, the Shah resigned and left Iran for an uneasy exile. None of these conditions for successful overthrow apply to Syria’s Assad regime. We have ample evidence that it is prepared to do anything and everything to stay in power and cares little about what the Western world thinks. After decades of dictatorial control, there is no organized opposition left, and the opposition that exists does not know how to use extreme force even if they could. There is little outside pressure. As a UN member in good standing among its peers, attempts by Western powers to gain a condemnation of Syria have failed and will continue to fail. Even the New York Times (Embattled Arab Leaders Decide It’s Better to Fight Than Quit, April 28) has discovered that that those dictators who are prepared to use extreme force are the ones who survive. Those who followed the NYT’s advice to engage in meaningful reform are gone or will shortly be gone. It is hard to imagine a more important U.S. presidential election. At long last, the two parties are taking strikingly different positions, and the choice will be clear to voters. The election result could change our country: Will we devote nearly half of our resources to government to fund a European-style welfare state? Or will this approach be rejected? There are three other 2012 elections that have greater long-run significance, if one can imagine that. At stake are 14 out of 25 seats on the Politburo, the supreme body that runs China. These 14 seats will go to the “princelings” – the children of the elite, who increasingly manage the party, state, and economy. The princelings appear to be split between liberals and Maoists. The current wave of arrests of dissidents, the removal of the Confucius statue from Tiananmen Square, and the “revolutionary programming” on television are subtle signs that the behind-the-scenes power struggle has begun. This election will determine China’s stances towards political reforms and foreign policy – whether China will move towards democracy and a less aggressive foreign policy or the reverse. The odd presidential campaign between Prime Minister Vladimir Putin and President Dmitry Medvedev has also begun. Only one will stand for election against minor opponents. The “nomination” campaign will be fought behind Kremlin walls, but the candidates have staked out their positions. Putin (the ex-KGB colonel) is the champion of a strong Russian state, an aggressive foreign policy, an intrusive state, and is not concerned about the lack of a rule of law. Medvedev (the lawyer) supports a rule of law, a more accommodating foreign policy, the rights of opposition political parties, and halting the repression of journalists who write things the Kremlin does not like. This election will determine whether Russia sinks deeper into the KGB state that Putin has created or begins to pull itself out of the swamp of thuggery and corruption. We do not know the election rules and dates of the first “free” Egyptian election in a half century. This election, now scheduled for November 2011 but likely in early 2012, will be the true test of the “Arab Spring.” Will it result in a real democracy with multiple parties contending against each other with a free press informing the public, or will the election go to the only organized party (the Muslim Brotherhood), which then proceeds to use all means available (following the example of Chavez in Venezuela) to insure its permanent reelection? Or will a true democracy, in which liberal political parties are real contenders, be the result? In its Sunday edition, the NYT honored its two Pulitzer-prize winners and printed a hall of fame of past winners. Notably missing was Walter Duranty’s 1932 Pulitzer. Duranty served as NYT’s Moscow correspondent from 1922 to 1936. Duranty’s dispatches served Stalin well, particularly his denial of the 1932-33 famine, which the Ukrainians today call the Holodomor (murder by hunger). In his own court, Stalin outlawed the word “famine.” Apparently, Duranty did too. The formerly secret Soviet files now reveal Duranty’s strategic importance to Stalin. We are just scratching the surface of these records, and rumors are floating that Duranty was compromised by Stalin’s secret police. From that point on, Duranty became the most obliging journalist in Moscow. Duranty had indeed become Stalin’s “useful idiot” as he was called. "Must all of them and their families [richer peasants] be physically abolished? Of course not - they must be 'liquidated' or melted in the hot fire of exile and labor." "You can't make an omelet without breaking eggs." "Any report of a famine in Russia is today an exaggeration or malignant propaganda." "Enemies and foreign critics can say what they please…, but the youth and strength of the Russian people is essentially at one with the Kremlin's program, believes it worthwhile and supports it, however hard be the sledding." The NYT, in its justification for not taking action against Duranty, argued that Stalin’s propaganda machine was overpowering. Yes, Duranty relied too much on his official handlers, but times were different then. We still live under a double standard. Imagine if Duranty had been Hitler’s useful idiot, reporting from Theresienstadt that Jews were enjoying daily performances of classical music. The press’s treatment of Assad reminds me of the foolish optimism that greeted the appointment of the “sophisticated” Yury Andropov. (Andropov must be a reformer; he loves jazz, cognac and speaks foreign languages. Bashar must be a reformer he studied medicine in Britain). Somehow we are supposed to believe that one of the world’s tightest and most brutal dictatorships is made up of “good” and “bad” factions, where the bad guys do bad things behind the back of the “good” head of state. We are supposed to believe that Syrian security forces assassinated a leading Lebanese politician without Bashar knowing. Bashar must also be blissfully unaware of Syria’s support of Hezbollah mischief, or of the clandestine attempt to build nuclear weapons. We are told that Basher’s salvation is meaningful reform. The Baath regime will survive if it allows freedom of assembly and press and opposition political parties! For Bashar’s sake, he should not read such stuff. Basher’s survival chances are near zero if he offers “meaningful reforms.” They will only show weakness and intensify the demonstrations (now without fear of being shot dead). The only “reform” the outraged Syrian population will accept is the removal of Bashar and his entire regime. Bashar Assad, like Qadaffi in Libya and the Mullahs in Iran, can only survive by the sword. That is their best chance, and they are likely to win. Our diplomats and journalists must learn that dictatorships operate according to specific dynamics that do not depend on the education, background, or humanistic orientation of their leaders. 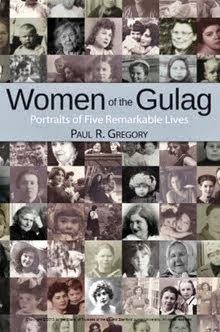 Stalin was extremely well read; was kind to his daughter, and made a great impression on Roosevelt. Pol Pot frequented Paris coffee houses as he wrote his dissertation at the Sorbonne. aitler had excellent table manners. Bashar speaks French and reads good books. These things make little difference. They are a foundation of sand upon which to base foreign policy. Private businesses are the engine of Chinese growth, despite their being excluded from official bank lending. Chinese banks make only four percent of their loans to private businesses. To raise capital, private businesses must borrow in unofficial credit markets at high rates of interest, or they must finance business expansion out of enterprise savings. Wu Ying, a 29 year-old Chinese female entrepreneur, faces the death penalty for “illegal fund raising.” Her crime: raising and pooling funds outside of the official lending system. Wu Ying, a secondary-school drop out, made her fortune in beauty parlors and cosmetics. Starting with nothing, she built a business empire of spas, hotels, and other properties estimated to be worth a half billion dollars. Chinese entrepreneurs, excluded from the official lending markets, have no choice but to borrow in unofficial markets. With such a prominent business woman as Wu Ying facing the death penalty, private businesses now do not know if and when their private lending and borrowing will land them in jail or worse. Wu Ying’s case sheds light on the miracle of Chinese growth. It is generated by private entrepreneurs who operate in a shadowy world of protection, uncertain laws, rule and law breaking, and risks of extreme penalties if they get on the wrong side of politicians. Chinese growth does not come from state enterprises, despite their privileges and preferences. The unfortunate Wu Ying is the true face of the Chinese economic miracle, not the “national champions” of Chinese industrial policy and planning. That capitalism and enterprise have bloomed in such an environment is indeed the Chinese miracle. It is about time we get this story right. Let us hope that Wu Ying’s death sentence is commuted. Source: “When Fund Raising is a Crime,” Economist, April 16, 2011, 69. Despite speculation of major changes, none were visible at Cuba’s first party congress in sixteen years. The delegates formalized Raul’s replacement of the ailing Fidel Castro (this actually happened three years ago), it re-elected the old revolutionary guard to the key positions, and it approved some trivial reforms. Their heralded reforms reduced the size of the public work force (which accounts for some nine out of ten jobs), allowed private ownership of homes, and approved several hundred other changes that were kept from public view but are surely trivial. All the talk of making way for a new generation of leaders proved empty. The newly-elected leadership consists of Raul Castro at 76, his first deputy at 77, and a Politburo whose average age is in the 70s. The Congress’s “dog that did not bark” was it failure to elevate younger party members to the party elite. This omission will have a profound effect on Cuba’s future. The failure of the April 2011 Cuban party congress to address fundamental reform was entirely predictable. We have no historical case of fundamental reform during the lifetime of the “great” revolutionary leader. The Chinese reforms began shortly after Mao’s death in 1976. Gorbachev’s reforms, three decades after Stalin’s death, had to wait the passing of the Stalin clones who served after him. Any fundamental restructuring of the “Great Leader’s” political and economic system questions his lifetime achievements and is not feasible. Instead of reform, the Ancien Regime “talks” about reform, as they did at the Cuban congress. They realize that the system is failing. Yet they must hold out hope that it can be salvaged by minor tinkering (such as allowing private home ownership or loosening restrictions on private economic activity). As “old revolutionaries” they understand that real reform will destroy all that they have worked for and believe in. Real reform remains off limits. Within less than ten years, human mortality and infirmity will install leaders too young to have led the glorious revolution. Cuba will be where the Soviet Union was in March of 1985 as the last of the old guard died off, and the party had to turn to a new generation not appointed by Stalin himself. Who will be Cuba’s Gorbachev? We do not know, but he is inevitable and within a relatively short period of time. Will he, like Gorbachev, unwittingly (or in this case deliberately), destroy the party, or will he be a Deng, who figures out how to preserve the party in the face of meaningful reform? In my view, the most likely scenario for Cuba’s new “young” leaders is the Gorbachev “system-destruction” model. Why? The younger members of the Cuban party elite of 2020 must make a practical choice: Are our interests better served by retaining the old system or by destroying it? By that time, the Cuban economy will be tottering. The privileges of high party office will seem trivial compared to other possibilities that they can arrange through their party networks in a “capitalist” Cuba. They need only emulate their former comrades in Russia and Central Asia, as the brave “capitalist” reformers of Cuba. All they need to do is to make sure that they head the property committees, the banks, and the economic ministries as the privatization begins. The United States will delight in their new capitalist allies, only later to express disappointment when they end up owning most of Cuba’s national resources. For the Castros, the April 2011 party congress was their last chance to prevent this outcome. If they had institutionalized retirements (as did the Chinese) and made way for a new party elite, the party’s emerging leaders would have gained a stake in the system. It would have given the new elite serious pause to explore the Chinese option of an open, foreign-investment-led path that rewarded them sufficiently to retain the party monopoly. Even if they would not be the new billionaires of Cuba, their children could be the “Princelings” of a prosperous and growing Cuba. Whatever! This option was the road not taken at the April Cuban party congress. The growing consensus that China’s “socialism with a Chinese face” is superior to the “liberal” American model .is based on three stylized facts: 1) China is the world’s fastest growing economy, 2) China weathered the financial crisis better than others, 3) China is building a better infrastructure Hence the conclusion that the Chinese one-party state makes better economic decisions through an enlightened industrial policy executed by state enterprises. Any claim that political decision making yields superior economic results must be greeted with natural skepticism. Past praise of Soviet planning, French Planification, and Japanese industrial policy was muted when confronted with long-term results. If “enlightened” Chinese industrial policy is executed by state enterprises (or “national champions,” as they are called), they should be the engines of growth. Nothing is further from the truth. The state sector has been shrinking and must defend itself against further encroachments by the private sector just to hold its own. First, Chinese banks, which are state owned, make 96 percent of their loans to state enterprises. Private companies get a miserly four percent. They must turn to informal lenders where they borrow at very high interest rates. China’s state banks have huge portfolios of toxic loans, while the unofficial private lending market prospers. All this against the backdrop of a country that has a gross saving rate of fifty percent. Second, the private sector has grown despite the obstacles placed in its way by the state. Private companies can be put out of business at any time by authorities who watch over them “with one eye shut and one eye open.” That they continue to prosper and grow is a testament not to industrial policy, but to their ability to survive a hostile state policy. The success of China’s private enterprise is a monument to capitalism, definitely not to state industrial policy. Chinese growth is accounted for by the private sector which operates outside of (and in spite of) state industrial policy. State enterprises are estimated to earn a four percent return on capital versus a minimum of 14 percent for registered private companies. China’s inflation makes the state enterprises real rate of return negative! Unregistered private companies earn much more. They continue to grow despite borrowing in unofficial lending markets where the “Wenzhou rate” is at least 18 percent. State enterprises accounted for almost all of GDP in the mid 1970s. They have now shrunk to some thirty percent. Rapid Chinese growth is therefore due to private companies. The state sector alone would have given China a modest rate of growth. China, along with other Asian countries (who by the way do not use the Chinese model), emerged from the financial crisis of 2008-2010 less scathed than Western economies. We have already forgotten that the current financial crisis followed upon what economists call “the Great Moderation” – a long period of growth and tranquility from the early 1980s to 2006. Unless we abandon our institutions, we will embark on another extended expansion, and the “failure of capitalism” will again be forgotten. The worst time to draw conclusions about the superiority of one economic and political system over another is at the end of an economic downturn. Picture the five year-old who blurts out at a family gathering: “Grandpa has bad breath.” Grandpa may indeed have bad breath, but this is not something said in polite company. A veteran NYT journalist has committed the indiscretion of the five year old. (See Ross Douthat, “The Middle Class Tax Trap”, April 18). He sweeps away the smoke and mirrors for a fleeting moment. We learn that Obama has an alternative to his strategy of “soak the rich and then just keep going deeper into the red.” The CBO’s “current law baseline” reveals that, if the Bush tax rates are not renewed in 2012, inflation and the alternative minimum tax will raise middle-class marginal tax rates from 29 to 38 percent (Welcome to the “tax rates for the rich”), and federal tax revenues will rise from 18 to 23 percent of GDP. Just by doing nothing in 2012, the Obama administration can set the country on course to “afford” a European style welfare state. As more and more of our vast middle class are pushed into higher tax brackets, federal, state, and local revenues rise to some forty percent of GDP. Add a harmless two to three percent deficit on top of that, and we have reached the low to mid forty percents in terms of government spending. We can miraculously pay for our entitlements without breaking a sweat. And we have done this without a value added tax, no less. The CBO warns that their “current law baseline” could “tend to discourage some economic activity” and could “harm the economy through the impact on peoples’ decisions on how much to work and save.” We do not really know how our middle class would react to European levels of taxation. Some of us hope we’ll never test this proposition. Remarkable words from our newspaper of record. One pleasure in reading the New York Times is its movie reviews. They leave few stones unturned, covering everything from major releases to obscure foreign films. The New York Times has passed on Ayn Rand’s Atlas Shrugged (unless I missed something). This reminds me that NYT was the last mainstream-media newspaper to deign to mention the rascally and radical Tea Party. Atlas’s only NYT mention appears to be Maureen Dowd’s “Atlas Without Angelina” in her Sunday, April 17 Op-Ed section. Dowd tells us that Obama’s “we’re all in this together, that we look after each other” philosophy would be “antithetical to Rand’s idea man,” that Paul Ryan’s “pushing the cost of Medicare and Medicaid onto the old, the sick and the disabled while rewarding insurance companies with bigger profits, would be more up her alley,” and that she need not waste her time on Atlas Shrugged because P. J O’Rouke (that noted film critic!) had already panned it. Rand, Dowd tells us, was dead wrong. She failed to see that capitalism would “evolve into a vampire casino where you could bet against investments you sold to your clients, and make money off something you didn’t own or that existed only on paper.” She then goes on to rehash the NYT 2007 story about a Democrat movie producer, who failed to get Rand’s permission to make Atlas into a movie because she wanted artistic control. Rand made a good decision, in my view. Dowd ends with the implication that Atlas Shrugged is a waste of time because it is supported by the Tea Party and Sean Hannity. A NYT film critic would indeed be troubled by Atlas Shrugged’s cheerleading for unfettered capitalism and individualistic entrepreneurs and its railing against Washington. He or she would, at long last, share conservative discomfort with the standard Hollywood rendition of a caring liberal President protecting us from snarling Republican killers of the poor, weak, and infirm. Ayn Rand was the first and only major writer to spin readable stories about the rent-seeking society. Dowd believes that the “fiscal meltdown” proved Rand false. Viewers of Atlas Shrugged, however, will see that Rand’s half-century-old account captures dead-on today’s suppression of (evil, greedy, and unpatriotic) entrepreneurs, the private-government “partnerships” (GE and the federal government), and the buying and selling of political influence that characterize our world today. The NYT may choose to ignore an Atlas Shrugged as beneath their dignity, but it may turn out to be a rallying cry in the 2012 election. If so, the venerable NYT has again missed the boat. The transition from street thug to state mafia took a decade in Russia. I was an eyewitness to the Russian process: In 1992, I saw businesses being shaken down by bullies in jogging suits and shaved heads. Six years later, I talked with business owners harassed by crooked tax, sanitation, police, and fire inspectors. Under Putin, these petty thugs were replaced by officials in pinstripes, politely shaking down businesses in meetings in government offices and swank hotels. It has become civilized, but the outcome is still the same. What does the Russian story have to do with GE? GE is unique among American corporations. Since its founding, it has been consistently in Fortune’s Top 10 – the only long-term survivor of Schumpeter’s creative destruction. GE adapted better than others to changing tastes and technology under executives like Gerard Swope, Charles Wilson, and John Welch Jr., who wrote the book on the art of corporate management. GE is still in the top ten under CEO Jeffrey Immelt, but it is a different GE. Instead of adapting to the marketplace, GE structures its businesses to harvest government subsidies, tax preferences, and bailout money. GE fits Schumpeter’s pessimistic forecast of bureaucratized, influence-peddling capitalism, which he had the temerity to call socialism. A casual glance at GE’s annual report shows that most of GE’s businesses depend on favor with the government. Energy generating windmill turbines make money because of government subsidies and state orders. Nuclear power requires government licenses. Energy-saving turbines receive subsidies. GE’s lending arm may again need a quiet $140 billion bailout. Its huge medical services division must receive favorable treatment under a new health care law. Even its competitive jet engines could use a diplomatic boost when foreign airlines buy new aircraft. Its NBC division needs broadcast licenses and other forms of protection. The GE scandal is not that it paid no U.S. taxes. It was simply following the social-engineering instructions of our tax code, which its tax department is able to nudge at times. The true scandal is that the once mighty GE has become a crony capitalist in its “partnership” with Washington. The hundred million or so in campaign contributions is chump change compared to the cost of its lobbying behemoth and its vaunted tax department. The new winners in creative destruction at first naively think they have no need of government. Silicon Valley's Microsofts, Apples, Googles, and Facebooks create products no one had ever dreamed of. They can outstrip the competition on their own. They are then baptized by fire. Government agencies politely worry that they have grown too big; an anti-trust suit may be in the works. Revenue-hungry politicians may decide that taxing the internet is a good idea. Facing this reality, the creative-destructors open expensive offices on K-Street and join the crowd. An ounce of protection is worth a pound of cure, they reluctantly conclude. I was taught in junior high journalism that headlines are guides to the content of the article. If the reader skips the article, the headline constitutes the information that the reader takes away. The headline should strive to honestly capture what the article is about. We then learn that the straw is lighter than the lightest of feathers. The $38 billion equals one quarter of one percent of GDP and “joins a growing list of minor problems impeding growth, economists said.” Whom is he quoting, I'd like to know. To underscore the impeding danger, the author tells us that a chief economist of a Chicago investment firm has reduced her growth forecast from 4.2 percent to 3.3 percent. There is no corollary statement her move was prompted by the budget cut. If it were, I imagine she would be laughed out of the investment community. The NYT writer saves his strongest ammunition for last: an IMF warning that “the cuts proposed by the Obama administration will be challenging to implement in an environment of weak growth and high unemployment.” As I read this, the IMF is concerned that the administration cannot carry through on the proposed budget because of political considerations, not because of the economic consequences. I cannot really tell from the information in the article. Infrastructure is the new rallying cry of those who want a bigger state. The argument appears compelling. We have suddenly had our “Sputnik moment” – the realization that our infrastructure is second rate. How can we continue as the world’s leading economy without high speed rail and with crumbling bridges? (Last I looked only one of our 594470 highway bridges collapsed in the last five years for a failure rate of one in a half million). We also learn from Thomas Friedman that “one party states can just impose the politically difficult but critically important policies needed to move a society forward in the 21st century,” and from George Soros that “Western democracies provide less successful leadership than China.” Friedman’s and Soros’ proof of Chinese superiority, it turns out, is China’s high-speed rail and other spectacular infrastructure achievements… a rather limited measuring stick, I’d like to point out. It is a mistake to judge economic performance by glittery infrastructure projects. One-party “mobilization states” (like China and the USSR) can concentrate on one thing and do it well. Stalin’s Russia grew throughout the Great Depression by building canals and hydroelectric dams. The Soviet Union put a sputnik in space and matched U.S. military might. The USSR and China built impressive Olympic villages virtually over night. I imagine that Putin’s Russia will “mobilize” to complete the Sochi Winter Olympics facility on time. We have been propagandized that all infrastructure investment is “good” irrespective of the price. This is wrong headed: We should ask instead whether infrastructure resources have higher and better uses elsewhere (such as reducing fiscal deficits). Admittedly, social rates of return are difficult to measure. We might not know whether a new highway or high-speed rail is worth the resources, but we do know when money is being wasted, and it happens regularly with infrastructure. Stalin’s Baltic-White Sea Canal, built by slave labor at the loss of thousands of lives, was too shallow for commercial traffic. China today builds “ghost towns” according to central directives with hundreds of thousands of apartments standing empty. China’s vaunted high-speed trains travel between cities nearly empty. Only the wealthy can afford the ticket prices, and the official in charge of high-speed rail has to be fired for corruption (including keeping a remarkable eighteen mistresses). Why are there so many infrastructure projects -- be it China, Russia, or the United States—that are a pure waste of money? Infrastructure is not an economic decision. Lobbyists, in China, Russia, or the United States, push the project to political authorities. Municipalities that stand to gain (at the expense of everyone else) band together and log roll. Politicians accept campaign contributions or outright bribes. The project moves ahead under the banner of economic progress. I was a high school student in the mid 1950s. Russia had recently launched Sputnik and Nikita Khrushchev was threatening to “bury the United States.” Jack Paar, then the host of the Tonight Show, had just visited Moscow. His camera crew duly filmed the Bolshoi Theater and the Moscow subway, but they also ventured into apartment buildings with loose bricks falling on passers-by, stores empty of goods, and rotting back alleys. Paar’s huge audience was both shocked and puzzled. Which was the real Russia – the heroic infrastructure or the hardships of every day life? We now know the answer. Are we making a similar mistake for China?. The provision of health care is one of the most complicated businesses around. People do not go to their doctors or hospitals for fun. Much of the payment for medical care is through third parties, giving users the impression that it is free. Since 1965, federal and state governments have been heavily involved. We are now in a wrenching debate about increasing state involvement in health care, full of charges, counte rcharges, truths, half truths, and lies. Simple economic analysis, however, provides a tried-and-true guide for those who really want to understand the debate. Economics suggests the following points. “Affordable” universal health care cannot be provided to everyone without mandatory reductions in payments to doctors, hospitals, drug companies, and nurses. Everyone, in effect, will get a “voucher” for health care to be provided at a low (or zero to the patient) price. Treat only those who pay a price higher than the mandated price. Transfer into unregulated medical activities (such as cosmetic surgery or weight loss programs). Withdraw from medicine for related professions that reward them for their training and education. Let those who least can afford medical care endure long lines, wait for life-saving treatments, and forego necessary medication. The treatment of the “rich” will be unaffected as financially-strapped medical care providers welcome them to special VIP programs. This option is a political disaster. Use coercion to force medical care providers to accept voucher patients. The state imposes severe penalties for violations, and, in extreme cases, makes it illegal for any health care provider to charge a price higher than the state-reimbursement rate. At this point, we have a single payer system kept in place by state coercion. The second solution will result in a loss of economic freedom, from which it will be difficult to recover. The NYT’s “Misreading the Enigma” gets one thing right: BP has lacked “geopolitical acumen” in its Russian dealings. BP’s proposed share swap with Rossneft (the State oil giant) is on permanent hold. The Stockholm arbitration court says BP may have violated its shareholder agreement with its billionaire AAR partners in their private BP-TNK Russian oil venture. Here is the proper interpretation of what is going on: When BP struck its deal in January, the Russian treasury was empty. It needed investment in arctic oil, and the world price of oil was low. Russia needed BP. BP, thinking Putting was on their side, assumed that Putin would “pull a Khodorkovsky” on the AAR billionaires. If they want to kick up a fuss against the deal, Putin had a steel cage ready for them in a Moscow courtroom, BP thought. Putin did not put the squeeze on the AAR billionaires for any of a number of reasons: First, AAR had already bought him off to help them in their plan to get half of BP’s half of the Rossneft deal. (Putin might need a few billion more for his portfolio). Second, Putin can take on a single Oligarch (such as Khodorkovsky), but can’t take on three at once. If this is the reason, Putin is less powerful than we think. Third, Putin fears he faces a real challenge from Medvedev in the 2012 presidential election and needs the AAR billionaires and their media empires on his side. Whatever the interpretation, things do not look good for BP, which is now looking for a “reasonable commercial solution.” That solution is the one I have been predicting for quite a while: AAR gets one quarter of the Rossneft drilling venture, “Russia” get a half, and BP is reduced from a half to a quarter. Such is the price of misreading the geopolitical tea leaves. Qadaffi is an experienced despot; otherwise he would not have held office for forty years. He knows how to calculate the best ways to stay in power. By my count, Qadaffi can be defeated in four ways: 1) His inner circle overthrows him (and most likely kills him). 2) He voluntarily leaves the country. 3) He is defeated by an opposition army supported by foreign forces. 4) He is killed by a targeted missile (or even a stray one). Option 2 is hard to gauge. We do not know whether Gadaffi is a coward or, more likely, a pragmatic survivor. My own guess is that he will decide his best chance for survival is to stay in Libya and win. Once he leaves, his fate will be determined by others. Options 3-4 are a matter of chance and are unpredictable. Foreign powers, it appears, will not join forces with Libyan rebels, and the Anti-Gadaffi alliance does not seem to have the stomach for assassination by missile. If history is a guide, the most likely option is number 1: The dictator is killed by his inner circle. Despots, contrary to the Hollywood scenes of an angry mob storming the palace, are killed by their closest associates (Caesar: Et tu, Brute?). The one execution of a dictator as the Soviet empire collapsed was Nicola Ceausescu, whose inner circle lined him and his wife up before a wall and shot them. Qadaffi’s most immediate concern therefore is to prevent a winning coalition from forming within his inner circle. Political scientist Bruce Beuno de Mesquita proposes a simple and common sense formula for the conditions under which a coalition unseats an incumbent dictator: The dictator’s inner circle ultimately decides whether the dictator stays or goes. A winning anti-incumbent coalition must offer the inner circle an expected reward for betrayal that exceeds that of the status quo. The term “expected” shows why the incumbent dictator has a huge advantage. Potential conspirators have two unknowns: Will the coup be successful? If successful, will the new dictator deliver the promised reward? If either of these has a low probability, the incumbent dictator stays in office. This brings us to defector math. Qadaffi is well aware that the main threat comes from his inner circle, but he does not know who his most likely enemies are. His inner circle knows that they are already in extreme danger. He must be evaluating each of them to asses the chances of betrayal. Those who occupy “power positions,” such as head of the secret police, militia, or military are most dangerous. They actually have the power to unseat him. Economic or diplomatic officials pose a lesser threat. A Qadaffi would rather err on the side of eliminating a loyal follower than sparing a rival. Family or clan members are in the least danger. Blood runs thicker than water. The optimal course of action for the inner circle is for them to defect as soon as possible. But their defection actually serves the interest of the dictator. Defecting potential rivals remove themselves from the inner circle and can no longer organize or be a part of a coalition to unseat him. Another benefit is that the inner circle becomes a smaller tight-knit group of clear loyalists. The Western press depicts defections as a sign that Qadaffi’s hold on power is weakening. According to defector math, however, defections strengthen the dictator. In a power struggle like this, it is not particularly relevant to Qadaffi whether Western governments think he is weakening or not. What matters most to him is what is going on inside his inner circle. We have historical examples that show that defections do not weaken a dictator’s hold on power. Fidel Castro allowed massive defections to remove potential trouble makers from his island. Saddam Hussein’s regime suffered many defections, but none of them played a decisive role in unseating him. Belarus dictator Lukashenko has actively encouraged regime opponents to defect, and he remains in power. The Founding Documents of Economic Freedom: "Kings and Ministers are themselves always, and without any exception, the greatest spendthrifts in the society. Let them look well after their own expense, and they may safely trust private people with theirs." In revising my Comparing Economic Systems in the 21st Century, I was struck by the relevance of the writings of Thomas Hobbes, John Locke, and Adam Smith to our current political-economic debates on deficits, regulation. taxes, and government health insurance. It is a valuable lesson to return to the founding documents of economic liberty, just as constitutional lawyers return to the constitution itself, to remind ourselves of the core issues of the economy and the state. These “worldly philosophers,” to use the title to Robert Heilbroner’s famous 1953 book, debated whether it is human nature to act cooperatively, requiring limited discipline by government, or are we naturally selfish, unruly, belligerent, and uncooperative, such that society can exist only with a strong hand of the state? In the next few paragraphs, I summarize the ideas of the worldly philosophers in capsule form for those who have not read them for many years. In other words, Hobbes argues that societies require a powerful sovereign, to control the natural tendency of people to feud, violate agreements, and steal. Hobbes’ Leviathan must have sufficient authority to frighten its subjects into submission to its judgments and will. In turn, the Leviathan’s subjects should be grateful for the “peace and defense” that state power to “terrorize” brings about. John Locke (1632-1704) was an English philosopher and physician often cited as the father of Liberalism. He published anonymously his Two Treatises of Government in 1689. In his Second Treatise, Locke enunciated his philosophy of natural rights, in which individuals’ rights to private property derive from ownership of their own labor. According to Locke, we create property through our own labor, such as a farmer clearing and irrigating fields. It is our work or perhaps the work of forefathers that has created this property; therefore it is our right to own it. Such property rights should be secure and protected by the state. In sum, Locke, contrary to Hobbes, favored a government “of the people, by the people and for the people,” whose power is strictly limited to the powers that the people themselves have given it. That government cannot take away the natural rights of people, such as their right to property. If it exceeds the bounds of the social contract, the government becomes null and void, and the people need no longer obey it. Adam Smith provided the pioneering analysis of free-market capitalism in his Wealth of Nations, published in 1776. Smith (1723-1790) was a Scottish philosopher, aptly called the father of economics. His classic Wealth of Nations was written as an attack on the prevailing system of pervasive state controls of the economy, called mercantilism. Adam Smith argued that a highly efficient and harmonious economic system is the result if competitive markets were left to function freely without government intervention. Both Hobbes and Locke began their analyses with human behavior in a state of nature. Hobbes used human nature to justify a strong intrusive state. Locke considered that people could agree on a social contract whereby a limited government could be created. Smith turned Hobbes’ notion of destructive competition on its head. Smith concluded that the very competition that Hobbes condemned, surprisingly, causes individuals’ selfish motives to serve the general welfare. In sum, Smith argued that if individuals were given free rein to pursue their own selfish interests, the invisible hand of competitive markets would cause them to behave in a socially responsible manner. Products desired by consumers would be produced in the appropriate assortments and quantities, and the most efficient means of production would be used. No government or social action would be required, for individuals acting in their own interests could be counted on to do the right thing. In fact, government action would probably interfere with this natural process, so government should be limited to providing essential public services—national defense, a legal system to protect private property, and highways—that private enterprise could not produce on its own. An equilibrium of consumers and producers would be created spontaneously in the competitive marketplace, for if the actions of consumers and producers were not in harmony, the market price would adjust to bring the two groups into equilibrium. Smith’s notion of a natural tendency toward an efficient economic equilibrium was the foundation for the liberal economic thought of the nineteenth century, which is now the free-market ideology of the twenty-first century. In the words of one authority, Smith’s most important triumph was that “he put into the center of economics the systematic analysis of the behavior of individuals pursuing their self-interest under conditions of competition,” and this remains “the foundation of the theory of resource allocation.” Most of the later theorizing aimed at a further elaboration of Smith’s vision of market capitalism.